Oh gosh! The layout that I emailed almost 4 weeks ago to SM got accepted in CK! OH GOSH! I could dance! ROFLOL!!!! Now that would be a sight! LOL! 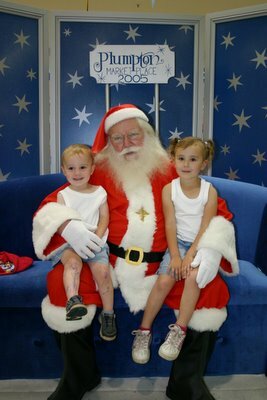 I picked up the kids Santa photo. It is gorgeous! WHOOHOOOO!! I knew it was going to get accepted!! YAY! I am happy dancing for you as well!! I wish there was a web cam so I could see your excited dancing!!! WOOHOO BETH!!! CK!!! Yippedy doo dah, yippedy day, my oh my what a wonderful day!!!! That's fantastic and what a gorgeous Santa in your pic. He could just about pass as the real thing eh?